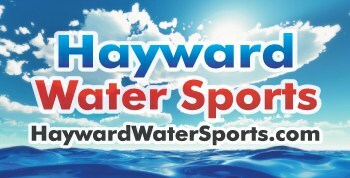 Hayward Outfitters | Hayward Water Sports - Wenonah Canoes, Kayaks, SUP, Hobie & Lots More! 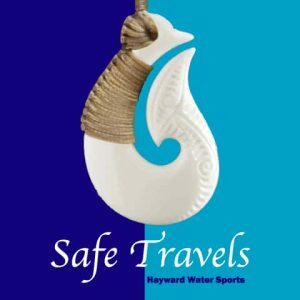 Hayward Outfitters and Hayward Water Sports are Northern Wisconsin's best source for Canoes, Kayaks, Stand Up Paddle Boards, Sailboats, Mini Pontoon Boats, Pedal Boats, Paradise Pads, Triton Canoe and Kayak Trailers, Torqeedo Motors, Accessories and More! We have the best prices and the best selection. 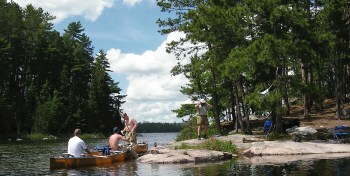 Hayward Outfitters is the Factory Outlet Store for Wenonah Canoe. We have the best prices and the best selection in the country. For 50+ years, Wenonah Canoe has constructed a legacy of quality, craftsmanship, innovation and performance. Their mission is to build the world’s greatest purpose-built canoes. Each Canoe is handcrafted in Winona Minnesota. Designed for people with a purpose. Go anywhere, do everything, and arrive in style with your Wenonah Canoe. Explore Beyond! 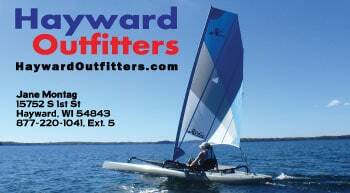 Hayward Outfitters is the Factory Outlet Store for Current Designs Kayaks. We have the best prices and the best selection in the country. Long before the paddle enters the water, each kayak begins with a pen stroke. The product of inspiration and experience, Current Designs develops and refines each model with some of the sport’s most celebrated designers and craftsmen. These partnerships have become one of the hallmarks of the brand – and continue to shape its future. Our Passion Our Lifestyle. Kayak fishing is fishing from a kayak. The kayak has long been a means of transportation and a stealth means of approaching easily spooked fish. Kayak fishing has gained popularity in recent times due to its broad appeal as an environmentally friendly and healthy method of transportation, as well as its relatively low cost of entry compared to motorized boats. 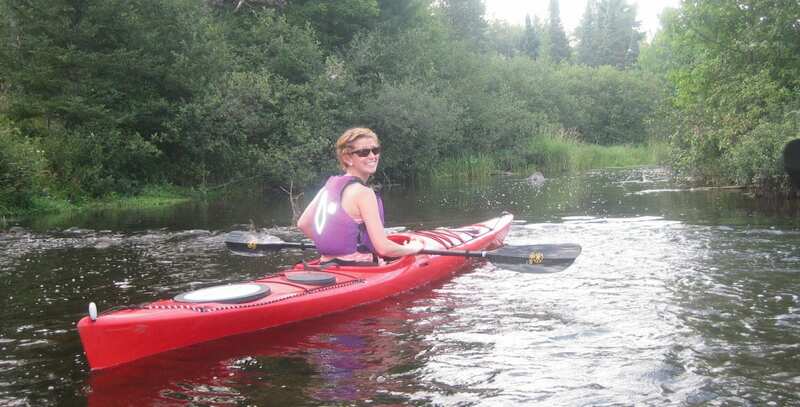 Generally, kayak fishermen look for stable, durable and comfortable designs. 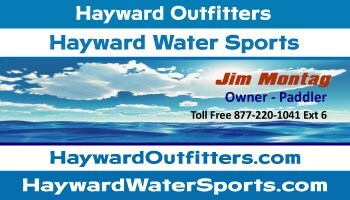 Hayward Outfitters has a great selection of Fishing Kayaks. Since 1950, Hobie has been in the business of shaping a unique lifestyle based around fun, water, and quality products. In 1997 the Hobie Mirage Drive was released. A new way to Kayak, Pedaling instead of Paddling. At Hobie, helping people have unforgettable on-the-water experiences ranks supreme. Above all else, kayaking should be fun. Why labor to pull with your arms when it is infinitely more efficient to push with your legs. No paddle means your hands are free…to take pictures…to fish. 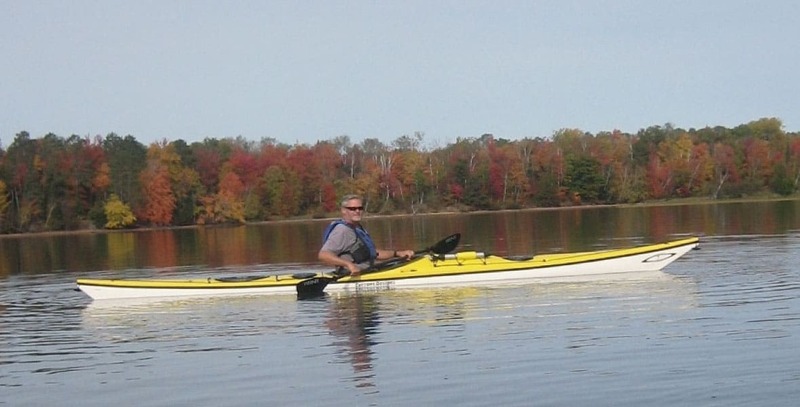 Get your Hobie Mirage Drive Kayak here and enjoy the Hobie Way of Life! Are you looking to start an activity that will not only improve your heath but also your mental state? The benefits of paddle boarding are nearly endless. The more you practice paddle boarding, the better your balance will be, both on and off the water. While you are paddling, you will find that your daily stress and worries are left ashore. While paddle boarding, your brain is focused on the physical movements and environment of paddle boarding, leading to mental clarity and a chance to disconnect from the world of social media, work, and other everyday details. In the late 60’s Hobie Alter started messing around in boats. 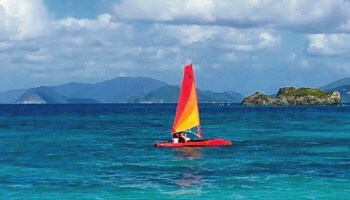 Hobie developed a prototype for a lightweight, fast and easy-to-sail playboat based on the Polynesian twin-hulled catamaran. Hobie introduced a whole new way to have fun in the sun. In the past four decades, more people have taken to the water on a Hobie Cat than almost any other sailboat design. Hobie Cats are still the world’s best selling cats and it’s hard to find a body of water on any continent where you do not see a Hobie Cat. Stand tall on the water aboard the Mirage Eclipse, another world’s-first watercraft from Hobie. Incredibly stable, just get on and go using MirageDrive® leg power. Soon you’ll fly high at exceptional speed, nimbly carving turns using fingertip steering controls. There’s minimal setup. Go from the car, the dock or your boat to the water in minutes. The board is lightweight and durable and full of thoughtful features such as gear tie-downs and a carefree kick-up rudder. The Mirage Eclipse takes standup to a whole new level. Break free from the shore! Our mission is to provide safe, fun and fairly priced products, activities and services in a friendly, professional manner. We strive to make a positive, lasting impression on all who visit us by sharing our knowledge, experiences and enthusiasm. Hobie’s original Pro Angler fishing kayak packs extreme fishing utility, with scads of (that’s six) horizontal rod lockers, enough tackle compartments to empty a store, and an elevated Vantage ST seat that’s as much easy chair as captain’s perch. There’s a non-skid deck for standing—a huge advantage for sight kayak fishing—and veritable acres of H-Rail for mounting rod holders and electronics. All this on a spacious 12 or 14-foot platform, with no need for a gas tank. Hobie’s unique MirageDrive with Glide Technology provides efficient, quiet propulsion. Paddle King specializes in compact or “mini-pontoon” boats. Enjoy cruising, sun bathing, water sports and fishing. These pontoon boats are smaller, lighter and easier to handle on the water and on the trailer. 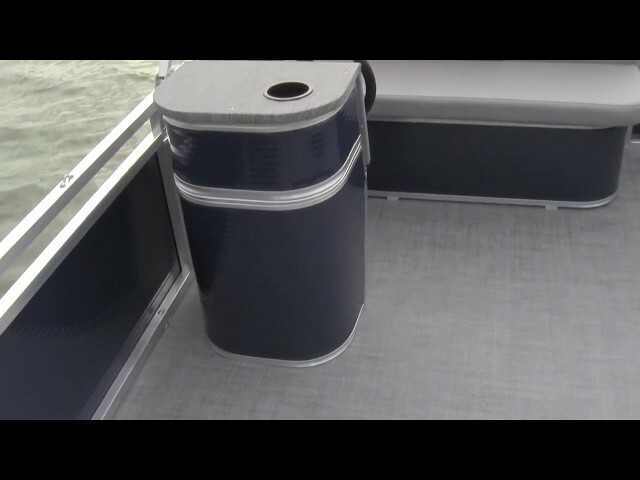 Some of the comfort features include; really nice comfortable seating, drink holders, lots of storage, ladder, livewell, rod holders, canopy, premium marine carpet or care free vinyl flooring. An ideal choice! Hayward Outfitters is your source for Dock Rite Docks and Lifts. Dock Rite designs hi-quality products with ease of use, durability and safety in mind. There have been Dock Rite Docks and Lifts in Hayward since 1990. Talk to your neighbors, a good chance they have a Dock Rite. People love their Dock Rite Docks and Lifts. Dock Rite is a family owned and run business located in Hutchinson, MN. 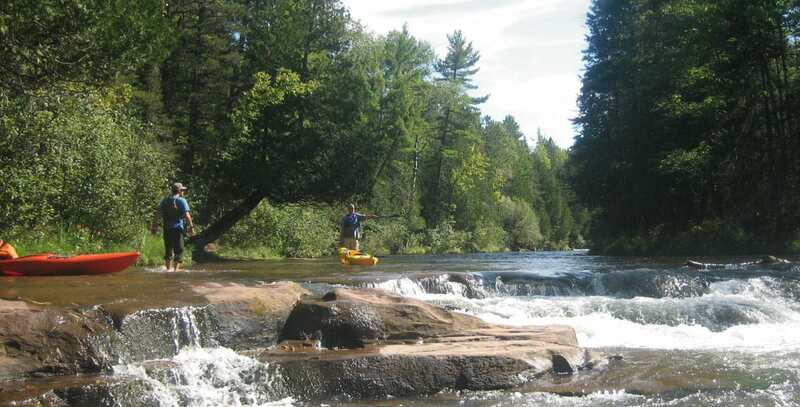 Come explore our National Park; The Namekagon River. It is part of the St. Croix National Scenic Riverway, a National Park, managed by the National Park Service as a Paddling River. It is Beautiful! 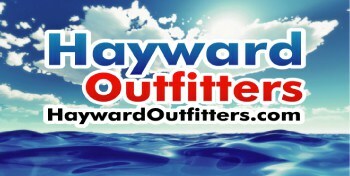 Hayward Outfitters is an authorized Outfitter for the National Park Service. Paddle King is a leading manufacturer of hi-quality aluminum paddle boats built in Michigan. Aluminum pontoons, Marine XL Plydeck, Double 6 bladed paddle wheels, dual rudders and superior stability all mean more quality time on the water. These paddle boats are an economical and environmentally-friendly way to get out on the water! Since 1975, Triton Trailers have lead the way. Triton sets the standards for quality, durability and dependability. Triton stands up to the lifestyle demands of their customers, those who want a trailer that works and plays as hard as they do. The trailers themselves are an emblematic symbol of what a quality trailer should look like. Triton trailers are built by master craftsmen in Janesville, Wisconsin. For people who live for adventure! ParadisePad foam water pads are all the rage! ParadisePad’s are a durable, portable foam water raft. Take it with you to the beach, take it with you on the pontoon boat, keep at least one of these at the cabin. Kids of all ages migrate to it. Hours of fun in the sun anywhere you take it. ParadisePads offer American made foam, best in class rip stop membrane, the strongest tie-down system, the best colors in the industry. Made in America! Indoor, Outdoor and Automotive Rack Systems! We sell Yakima. We believe that any life adventure, regardless of the equipment used, creates shared experiences and memories for you, your family and friends. Take care of your equipment with our tried, tested and true selection of Indoor, Outdoor and Automotive Rack Systems.